A focused mindset will achieve success through goal setting principally because in order to get somewhere you have to focus on where you're going and how to get there. All effective personal success strategies have at their core the understanding that your roadmap for success must be clearly specified and mapped out. If you only have a vague idea of what you want and an even more vague idea of how to get it your life will form a pattern which oscillates between partial, half-hearted success and failure. The only achievable success is success through goal setting. A man once got lost while cycling through unfamiliar countryside. He was hesitant about whether to try going this way or that way. Initially there was no one else around so he felt helpless and disorientated, totally without any sense of direction and he ended up just sitting there undecided about what to do or where to go. Then eventually a passerby came along and gave him specific directions towards the place he wanted to go. Armed with this new information and sense of direction he felt invigorated and confidently set off towards his goal. Now he knew what he wanted and he knew how to get there and this new-found clarity and sense of purpose replaced the previous feeling of disorientation and helplessness with a feeling of confidence and of being on the right track. He had identified his goal and now knew exactly how to achieve it. Goals are important in life. Without some sort of goal, even just a short term and not particularly important goal, you are basically adrift in life, being swayed and tossed around this way and that. When you have a sense of purpose in life, something to focus on and aim for, life becomes much more dynamic and full of potential. Whatever your goal may be, whether it's to make a lot of money, find a perfect partner, run a marathon, write a book or anything else, you have to map out how you're going to achieve it. Broadly speaking, there are several main points of this map that you need to familiarise yourself with. Motivation. Your goal must be related to something that motivates you, that is important and relevant to you. If you'd always had a noticeable but largely unfulfilled inclination towards, say, art or creative design generally, your goal could be in some way relevant to that. Be specific. Your goal must be clear, specific and quite sharply defined. It also has to be measurable - so that you'll know when you've achieved it - and it also needs to be realistic and achievable in the first place.. Big, long term goals have to be worked at and achieved gradually, step by step. Write it down. The act of physically and mentally writing down your goal with pen on paper - this is more psychologically effective than typing it on a keyboard into a text document - tells your powerful subconscious mind that you're actually serious about this and this will prompt the subconscious, with all its vast, perhaps infinite resources, to get behind you on this one. Action Plan. Take some time to think through and plan ahead for the various steps and stages that it will be necessary to go through in order to reach your ultimate goal. Step by step, stage by stage, plan for each one (at least as far ahead as you can anyway) and mark them off one by one as you successfully go through them. This will give you a sense of progress being made towards your goal and so will boost your confidence and drive. Perseverance. There will be times along the way when you may be distracted or experience doubt. Dismiss it and maintain your focus on your overall, ultimate goal at the end of the road. Success through goal setting is the most satisfying and achievable type of success. You've thought it through, planned it out and worked your way along the road and you've finally made it. If there's one surefire way of feeling great about yourself it's having successfully achieved an important goal by your own efforts. 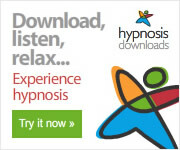 Check out the following information on success related audio hypnosis downloads which can help to accelerate your progress in achieving your goals.